Energy is the motor of today’s society, economy, jobs, welfare and inseparable of our health, safety and happiness. It is unbearable that the poorest people in society currently have highest cost of energy and often from most pollutive resources. The upcoming most emerging challenge lays in the electricity use in our dense urban areas as the energy need will soon increase 4 times by new demands like electric driving, more heating or cooling, and the urban increasing population densities. The most costly part of our energy bill will come from upgrading the existing power grids to bear these new loads and peaks, while we need to not overlook the people who already cannot afford the current cost. 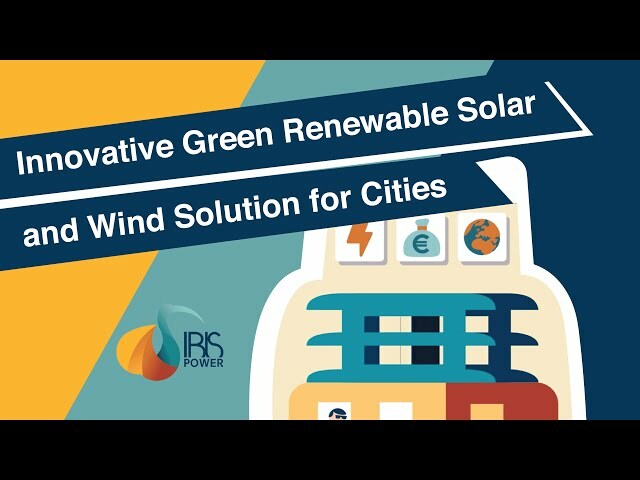 PowerNEST introduces a groundbreaking solution addressing the greatest challenge of renewable energy in cities: high-rise buildings. These buildings (5 levels or higher) have highest power demand while least roof space available for solar panels. PowerNEST is a roof addition integrating an intelligent way of wind and solar technology generating 6 times more energy than traditional roof solar applications and even at a cost of up to three times less than current net-zero-energy building solutions. Due to its hybrid energy sources, it generates 24/7 in any season and can work with a small battery system to be able to take buildings up to 14 levels off the grid. PowerNEST is designed to blend with the buildings architecture, and is already called the crown on the building by several renowned architects. Our team believes that decentralized energy solutions are the future for cities, and have worked already 10 years on the development, testing, realization and current International market entrance to provide an all-fitting high-rise solution reducing the cost of energy for all parts of society.